When I came back to get my results, the lab coat–wearing researcher looked very nervous. She couldn’t make eye contact with me and fidgeted in her seat. The more anxious she looked, the more nervous I got that this wasn’t going to go well. She finally looked up from her clipboard, and the following conversation ensued. “Really? Excellent!” I meant it. I was greatly relieved. Read the rest of Ben’s recent post for the National Center for Learning Disabilities: What Dyslexia Looks Like in My Brain. Posted on September 19, 2013 by benjaminpfoss. 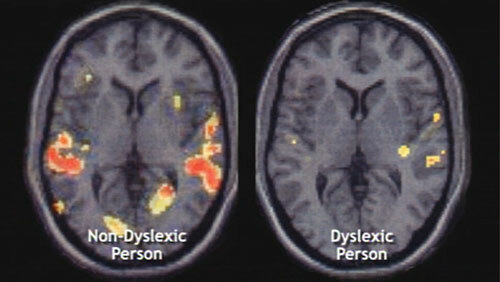 This entry was posted in Advocacy and tagged dyslexia, dyslexic, learning disability, NCLD, technology. Bookmark the permalink.